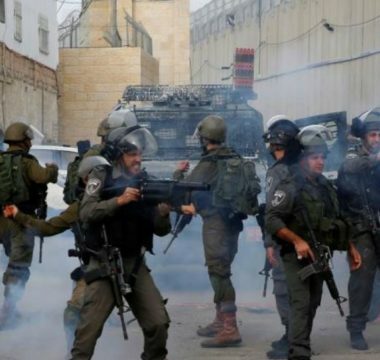 Israeli soldiers injured, on Monday evening, several young Palestinian men in the al-Khader town, south of Bethlehem in the occupied West Bank. Media sources said the soldiers invaded Umm Rokba area, south of al-Khader, and fired many gas bombs and concussion grenades at Palestinian youngsters protesting the invasion. They added that many Palestinians suffered the effects of teargas inhalation, before they received the needed treatment. In related news, the soldiers fired at protesters east of Deir al-Balah, in central Gaza, wounding a young man with live fire.